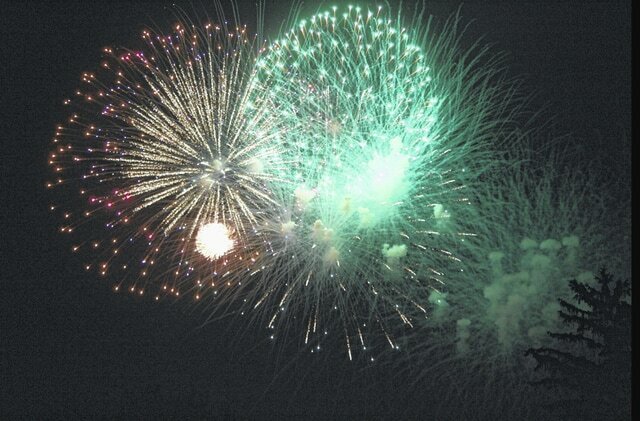 Wauseon will celebrate Independence Day on Friday at Biddle Park. Baseball starts early in the day with activities ramping up at 5 p.m.
Start making your plans for the big Independence Day blow out set for Friday, July 3 at Dorothy Biddle Park. The festivities begin with another American tradition – baseball. At 8 a.m., the baseball diamonds will have games going for all age groups. The activities gear up at 5 p.m., where there will be food vendors as well as inflatables and other activities. There will be a DJ to keep things lively and provide information to the crowd. The grand finale will be the fireworks display, to begin around 10 p.m. Again the fireworks will be shot from the northeast corner of the park, leaving 95 percent of the park people friendly. The aerial display is choreographed to a musical sound track. The music will be played at the park through the DJ’s sound system. A local FM signal will also broadcast the music to distant viewers. The frequency will be announced before the start of the show and on the Wauseon Fire Department Facebook page. Keep tuned for more information. This marks the fourth year in a row that the WFD members have been able to present the fireworks display for the citizens of Wauseon and all visitors celebrating the Fourth of July. It is the combination of raising funds from businesses, organizations and individuals, plus the reduced expense for the pyrotechnic services provided by the select group of fire fighters trained and certified to handle the special effects. These firefighters are part of Legendary Entertainment and Extreme Pyrotechnic. This year, as you enter Biddle Park, volunteers from the VFW will be accepting donations for next year’s celebration. Your generosity makes continuing this spectacular event possible. Visit www.cityofwauseon.com for a complete schedule of events. You may also access www.wauseonfire.com to make an online donation towards the Wauseon fireworks celebration. Sunday, July 5 has been set as a back-up, in case of inclement weather.